The ANSI TIA 606-B Cable Labeling Standards are a set of voluntary guidelines that are used in labeling and recording data about the wires used for computer systems. This includes most types of IT environments including telephone companies, internet service providers, data centers, and more. The standards themselves are entirely optional, but a growing percentage of businesses use them because they are a proven way to keep things organized, and improve the organization of any data center, computer closet, or other IT area. Consistent - Any company that uses these standards needs to make sure they are followed throughout all areas of a building, and all buildings within the company. 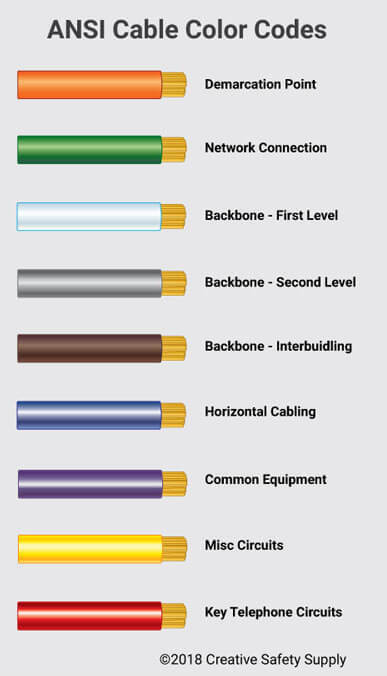 Consistency helps to ensure that everyone who works on the cabling will be able to understand the labels at all times. Identify Physical Locations - The labels need to identify what physical location they are going to. Depending on the facility, this should include information about the room, floor, and building involved. Easy to Read - Labels need to be printed on high quality label stock, and with a good printer, to help ensure the text on them is easy to read. Durable - The print stock used should be made to last long periods of time. The cables often last for many years, and the labels should last just as long. This applies both to the physical label, and the print on it, which should not fade. Universal Agreement - All departments and team members throughout a company need to agree to follow these standards or it will only create additional confusion. Pervasive - All cables should be labeled at both ends to ensure anyone who comes in to the facility will be able to get the information they need able these wires. 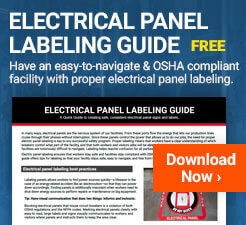 In order to be in compliance with the 606-B standards, labels must meet all of the following requirements. Permanent - The labels should be permanently placed onto the cables. Identified at Both Ends - Both ends of the cables need to be labeled. Termination Points Identified - The termination points need to be identified on the labels. Legible - Labels need to be legible, which typically means they should be printed off rather than hand written. Match with Records - Information on the labels should be recorded into records. This allows technicians to get additional information as it is needed. Orange - Orange wires should be used to go to the demarcation point, also known as the central office termination point. Green - Green cables are used for network connections that are on the customer's side of the demarcation point. White - White is used for the first level backbone, including main cross-connects to a telecom room within the building. Grey - This is for a second-level backbone, including cables that go between two telecom rooms, or between an intermediate location and a telecom room in a separate building. Brown - Backbone cables that go between buildings will use brown cables. Blue - Used for termination in horizontal cabling on the closet end. Purple - Purple cables should be used for standard equipment including things like individual PCs, printers, and others. Yellow - Any auxiliary circuits including security systems will use yellow cables. Red - Telephone system termination cables use red cables. Other colors can be used as well as long as they are agreed upon by all the different groups within a facility. In most cases, the above colors will be all that is needed, but since every environment is unique, the standards allow for this type of thing. Using labels on these types of cables is very important, but if records aren't kept about the cables, it is going to be ineffective. Records are typically kept in a database that can be accessed by all relevant teams. In many cases, the labels on the cables can have a QR code, which can then be scanned to pull up all the additional information from the records database. Even when this type of solution is not used, the records should be kept up to date at all times so that it can be referenced as needed. 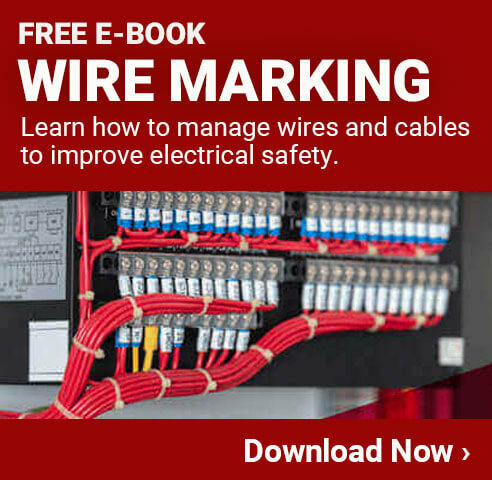 Easy Understanding - Having standards throughout all facilities within a company will allow everyone who works on these cables to know exactly what they are doing no matter where they work. Faster Troubleshooting - Being able to identify information about cables quickly makes it faster and easier to troubleshoot issues. Outage Avoidance - Having clearly labeled cables will help prevent accidental outages that are caused by someone working on or moving the wrong cables. Planned Upgrades - As equipment is upgraded in a facility, having a clearly labeled set of wires will make it easier to plan things out and ensure there aren't any issues. Training - When an entire facility has the same set of standards, it is much easier to train new employees on how things are done. A facility can create one consistent training program that can be used for all employees (or even vendors) who will be working on these systems. Creating custom labels for your network and other related cables is surprisingly easy, when facilities have the right equipment. The best option is to use an industrial label printer, which can create high-quality, easy to read, labels for any situation. These printers can use label stock of any size or color to help ensure the labels convey the exact information needed.